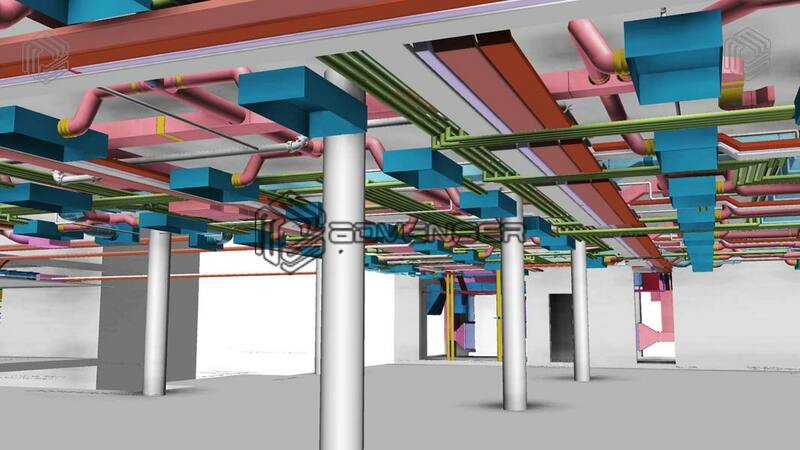 Major impact of BIM, with regards to the AEC industry, is its clash detection feature between the various engineering components that comes under the project. Unattended clashes results in major problems at later stages, like loss of time and money. 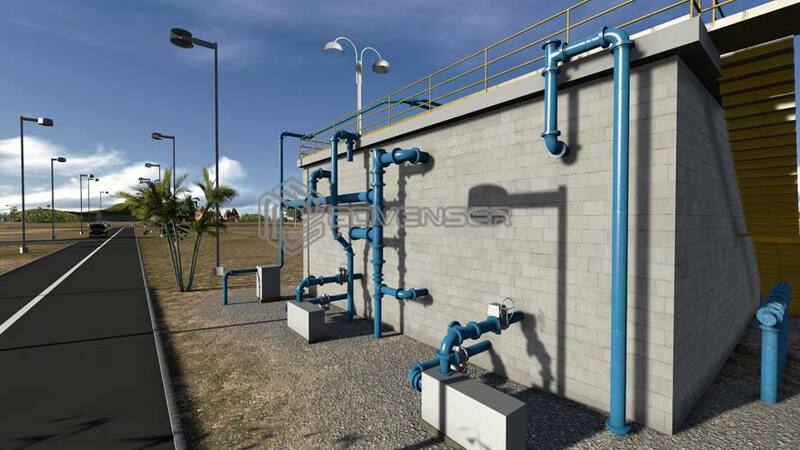 In usual cases, it may also result in rerouting, resizing or re-engineering one or more components of the services, which may highly impact the quality of the model. 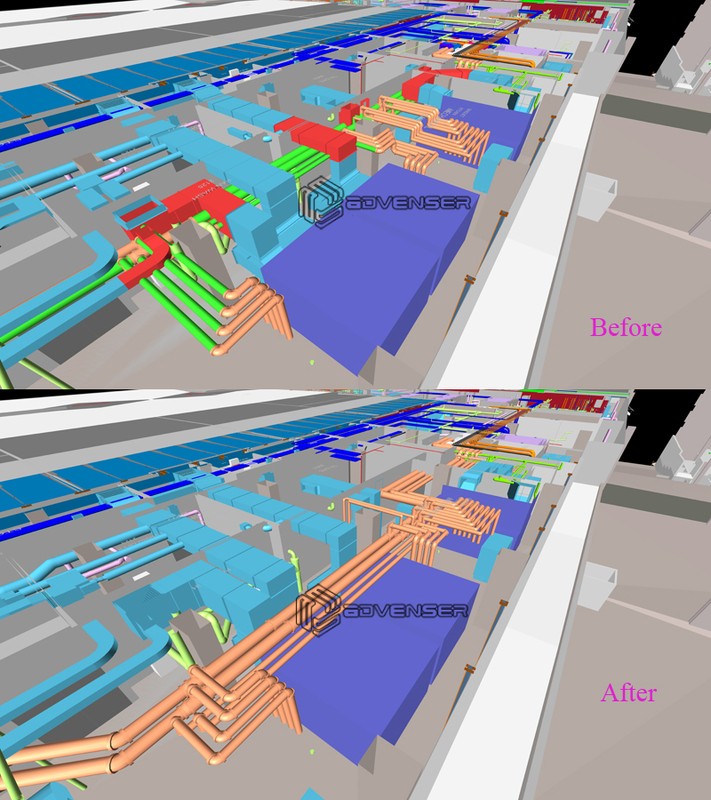 At Advenser, we understand these kinds of challenges and our engineers monitor the exact BIM requirements on a regular basis to check for such conflicts, give alerts as soon as possible, so that the necessary step is taken care on time. 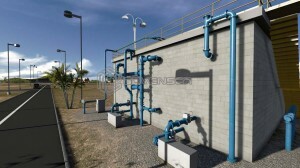 This service facilitates the end user to review and monitor the progress of the construction. 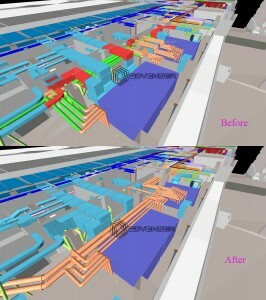 As everyone knows, there are many unique ideas that can arise when reviewing construction-in-progress models. A majority of these ideas have the potential of saving time and money. 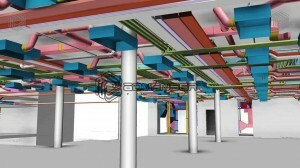 Designer can visualize the model from every angle and required changes can be made at once. In case of public and healthcare buildings, special tools are needed to check compliance with the different regulations while the analysis is done. 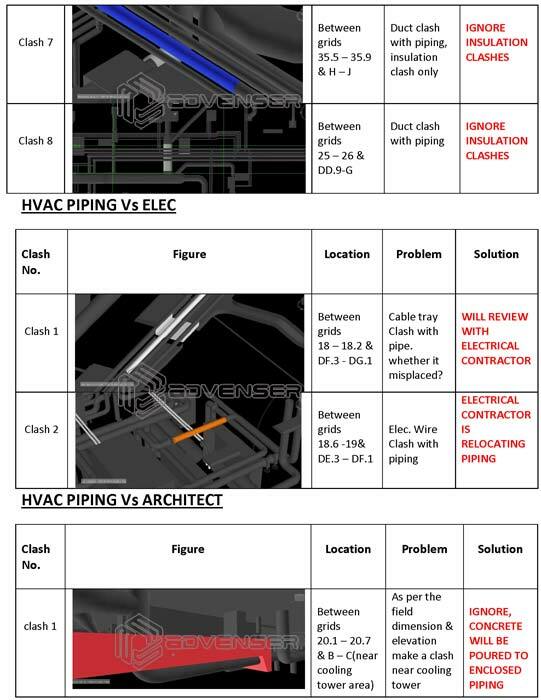 Vast amount of time and money is saved while generating deviation reports.